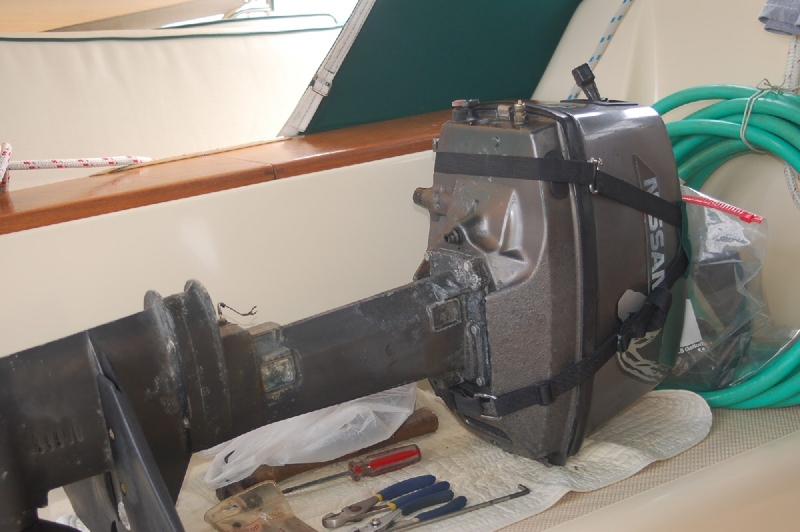 During the winter season 2011/12 our 12 year old Nissan 2 stroke outboard became harder and harder to steer. I expected that the 2 major pieces of the assembly could not be salvaged but that some of the smaller parts might be useable. 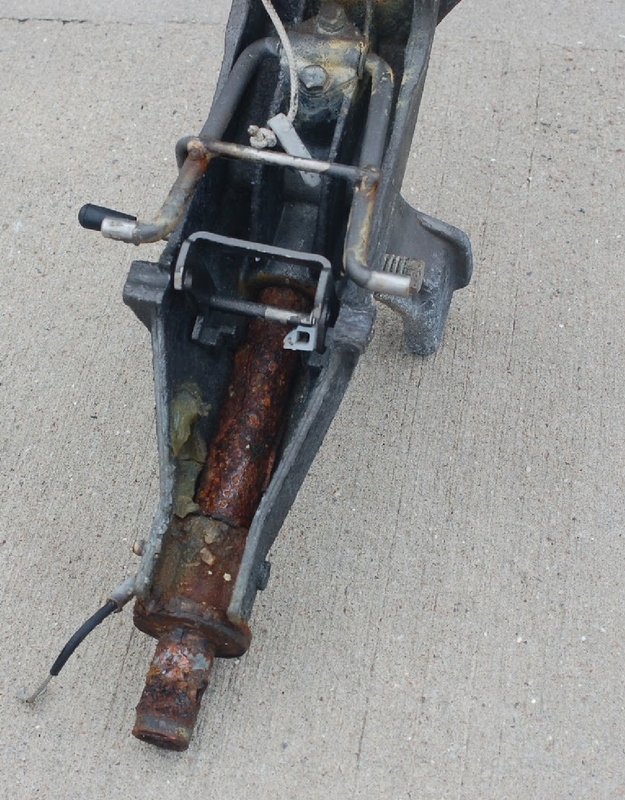 I took the entire assembly off the outboard and brought it home to Florida with us in May 2012. I ordered new parts from East Marine and used the old assembly as a template for assembling the new. 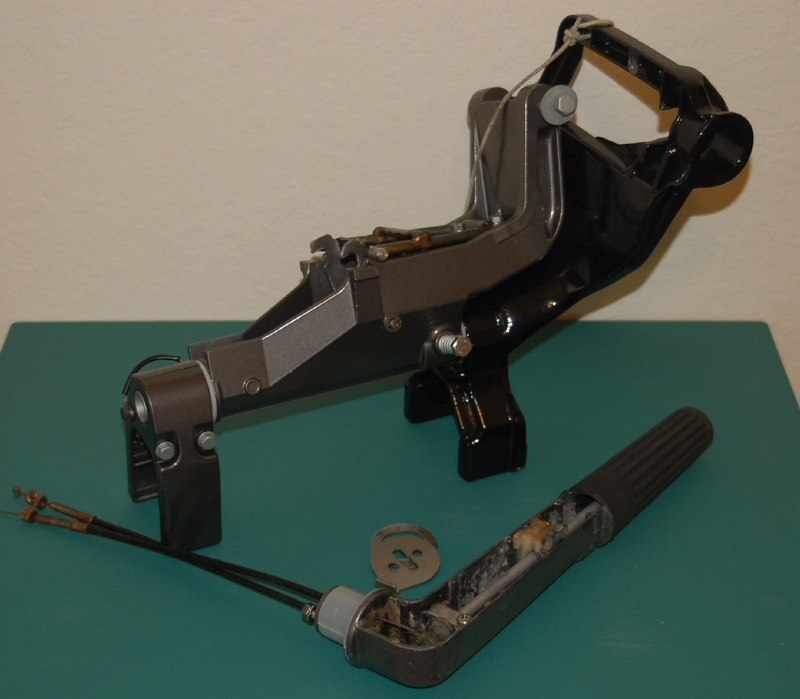 Repaired steering shaft – I ended up with a Tohatsu upper steering shaft and a Nissan lower swivel – Engine is now a Nisshatsu!